A day transpired recently which was a year after my most recent birthday. I walked around Menlo Park with some friends and took some photos. During our jaunt, we stopped by Penzey's Spices. The store was large, open, and well-stocked. It had an old-timey feel and the light inside was fantastic. 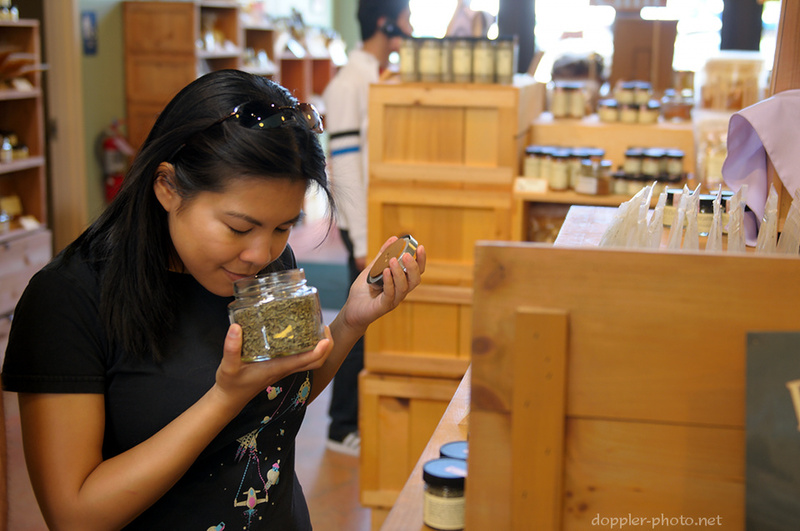 I managed to grab this photo of my friend Stephanie sampling one of Penzey's many selections. 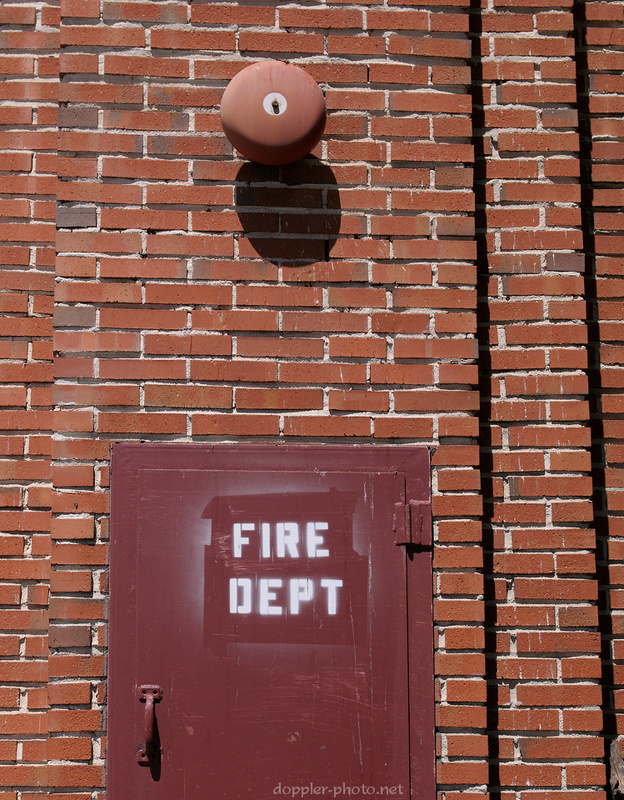 On a wall just past Cafe Borrone, I spotted this oddly-done "Fire Dept" stencil. I was struck by the two different kinds of shadows — one instantaneous, the other from long ago. I found the persistence of the stencil's shadow to be slightly reminiscent of the persistent human shadows which occurred after the atomic bomb was dropped on Hiroshima. We passed through a farmer's market a few blocks off of El Camino Real, in the parking lot behind Penzey's. We were fairly late — many of the proprietors had already departed, and others were starting to pack up — and the high noon sun beat down on everyone. This young fellow didn't seem to notice, though. 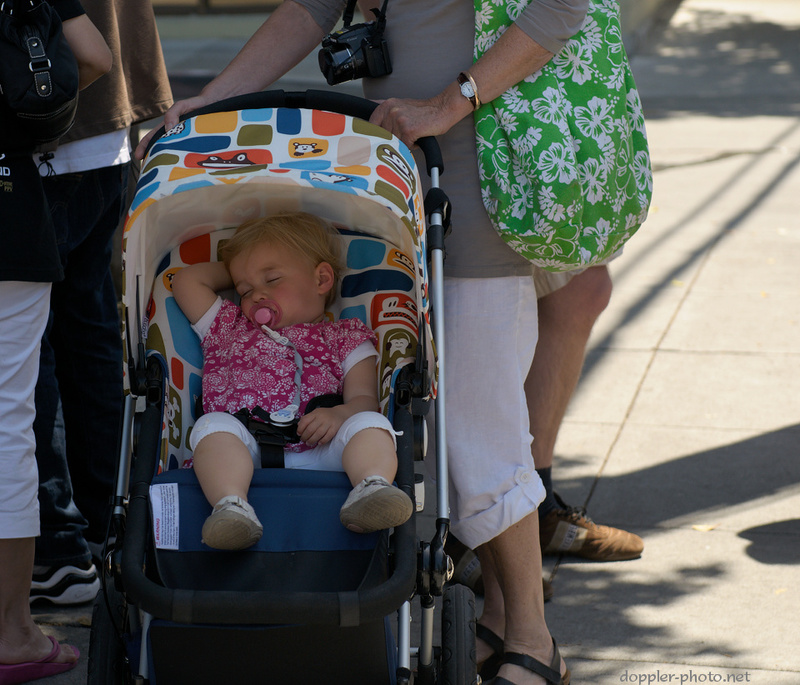 The awning of the stroller provided enough shade for what looks like a pretty comfortable nap. I love the warmth of the first shot!